Easter Island is one of the most remote islands in the world. 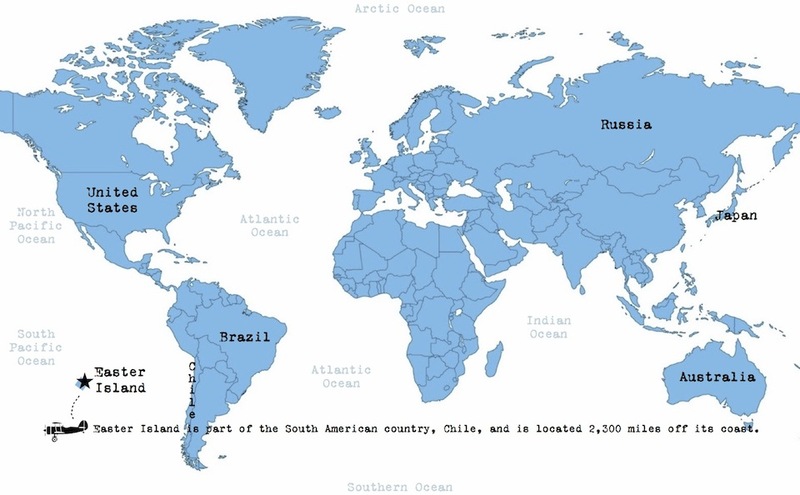 It sits in the South Pacific, 2,300 miles off the coast of Chile. 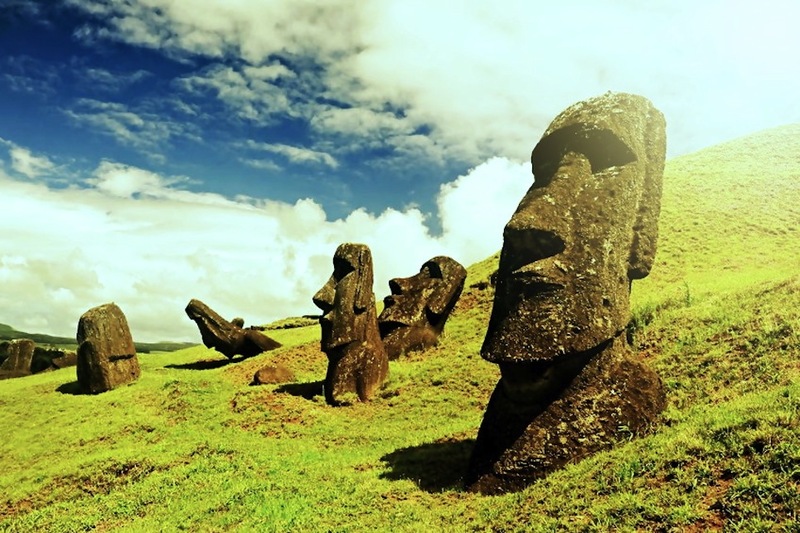 Hundreds of years ago, it was settled by a group of people who called the island Rapa Nui. Not much is left from their ancient civilization, not much except for the 887 ENORMOUS statues they left behind. The statues, called Moai (pronounced mo-eye), were carved from volcanic rock by the Rapanui people between the years 1250 and 1500. It’s believed that they commemorate important ancestors. Even though some of the Moai look like really BIG heads, they’re not just heads. They have bodies that are buried underground. The average height of the Moai is 13 feet and they weigh about 14 tons (that’s 28,000 pounds, or about as heavy as NINE cars). The tallest Moai is a whopping 33 feet tall and weighs in at 80 tons. How these gigantic blocks of stone were moved to all parts of the island remains a mystery. One recent theory about how they were moved suggests that the giant statues were rocked side to side, using just manpower and ropes to move them forward. Another suggests that they were moved using log rollers. And why the name? Easter Island got its name from the Dutch explorer who discovered it on Easter Sunday in 1722.